People have been asking, how do you get these projects going? We are preparing a short video to explain the process. We hope lots of other communities will rally beautification projects too! Very briefly, we keep things simple. We start with a volunteer group that is committed to show up on a certain day. Then we find them something to do. 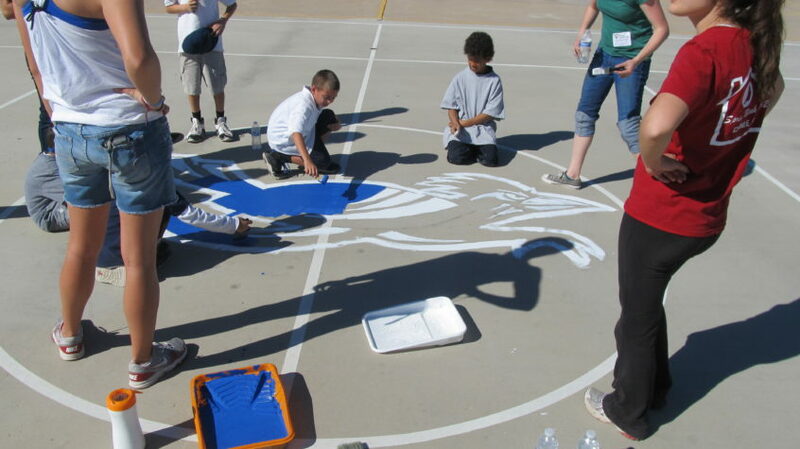 We focus on simple one day projects like cleaning up messes, painting, gardening, or art work, like a mural.. Or joining a big event in the area that needs some help. With a few successes and stories you can connect with more schools and non profits, etc…. Who will trust you to bring some volunteers and get some needed work done. Even city offices or neighborhood leaders may know of an elderly person nearby who needs some yard work done. The possibilities are endless. Along the way we have learned some things. A lot of our volunteers are college aged. They are often looking for advice on discovering their talents, developing their ideas and getting experience to lead them to the right careers, etc. We are developing some trainings to help. We explain some basics about how society functions and some basic life skills to learn. Our projects provide experience and networking opportunities that connect the dots and point the way to go. To sum it up, all of us want to discover more of who we are … where we fit in a local community… as part of a bigger story that makes an impact in the world. We believe that these elements are important and that the more people find their way .. there will be more help to solve the problems in our world!